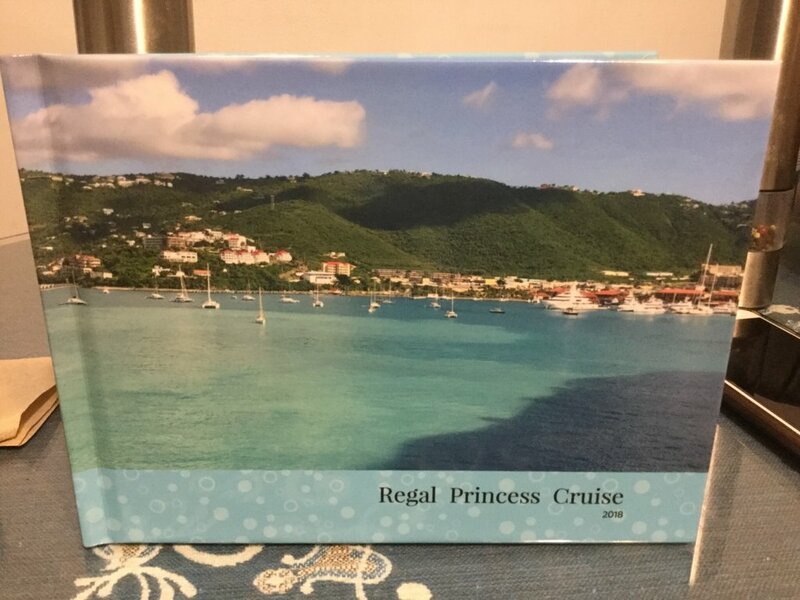 We recently went on a cruise, and I wanted to make a photo book from the pictures on my iPhone, which IMHO are pretty darned good! I was looking around the App Store and found "FreePrints Photobooks App by Planet Art" It had really good reviews, so I decided to give it a try. And am I happy I did! You get one free (there is a small shipping fee) soft-sided 5x7 photo book a month. I downloaded the App, and set it up. I was offered a free upgrade to a 6X8 hardcover book for my first order, which I took advantage of. The app was very easy to use, and before I knew it, I had my book put together. I did pay extra for adding extra pages. The fee for an extra page is $.39 USD which isn't bad. There were all sorts of choices for cover designs and page colors. And I was able to add a title as well. Once I had everything selected, I adding shipping and payment details and completed my order. I was able to use Apple Pay to pay for my order. Communications were swift from the company. I received a confirmation right away, and then a shipping notice two days later. My book arrived 5 days later and I am thrilled with the quality of the book. And my photos look fantastic. Even my husband was impressed, and couldn't believe that I only had to pay for shipping. So in a nutshell, I highly recommend this App and their photo books! Last edited by Annie_8plus; 01-16-2019 at 03:30 PM. pkcable and aximtreo like this. How many pages come with the 5 x 7 photo book? Am I understanding that you select pictures from your iPhone to go into the photo book and then place your order and they send you the actual photo book with the pictures in it? Sounds good. Looks nice-and your vacation was probably wonderful!